Printed hangers are a simple and very effective way of promoting your business. Subtly remind your customers about your company every time they hang a garment. 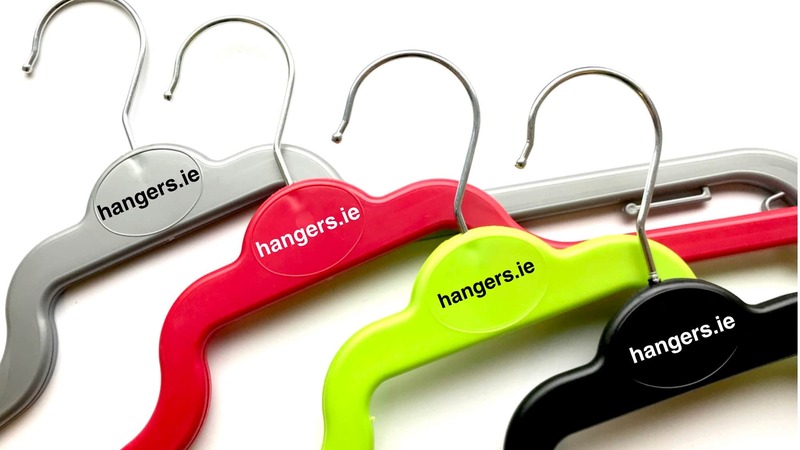 We can print your logo in one colour on most of our clothes hangers. Big and small companies often spend money on advertising that simply does not work. However, branded hangers are perfect for raising the profile of your company. This is because customers see your brand advertised on every garment you display or sell. 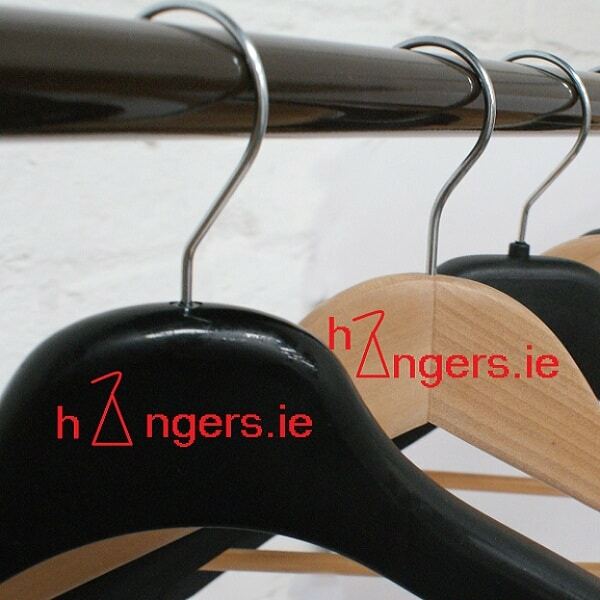 We do printing on clothes hangers in our own factory in Castlebellingham, Co. Louth, Ireland. This is the same factory where we manufacture plastic clothes hangers. 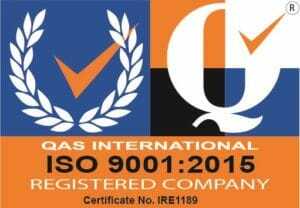 We have strong quality controls and we are ISO 9001:2015 certified. As a result of our high quality print customers regularly re-order from us. We have supplied large chain stores, boutiques and many other companies across Ireland and UK for years. In addition, we print on both plastic and wooden hangers. It is not just clothing manufacturers or retailers who order from us. We also supply a wide range of companies who want their brand added on promotional clothes hangers. Companies use them in their own cloakrooms, at functions and at trade shows. In addition, companies give them out to customers together with branded clothing. Printed hangers are subject to minimum orders of 10 boxes of the same hanger. Also, the colour of each hanger and the print colour must also remain the same. Additionally there is a one off set up charge on the first order of branded hangers. Payment terms for branded hangers is proforma invoice on order. You will need to provide us with artwork in a suitable format such as PDF. Once we have finalised artwork with you the delivery lead time is normally 4 to 6 weeks. Ordering is simple. Just email us with your company logo and we will be in touch with you.